No, they are not random shapes — check the new website (link below) and refresh the page for awesomeness! The ETHBerlin crew was always convinced we needed to put our foot down/set our goals first and express what we envisioned for our hackathon, what was aligned with our values and what was not, so the first thing we did, before sending any sponsorship decks or doing any marketing, was write down what sponsors would be supporting if they were to jump into our hackathon — and what they should not expect. Don’t get us wrong, we wanted to get our project funded, but we also wanted a bigger sense of responsibility in the space. Some of us, working for major projects, saw how marketing would disburse large sums for almost meaningless events, with little substance, and we were a bit fed up. Instinctively, we sort of predicted back in June, that 2018’s event craze (replacing 2017’s ICO craze) made no sense. So it was up to us to try to change this, for the better. Moreover, the bear had just awoken so we knew we needed to offer something that would have a lasting impact to justify the sponsors’ support of our vision. Fast forward to March 2019 — GUESS WHAT? The bear’s still awake and thrashing about. We’ve learned a lot from the hackathon, but we learned more from the downsizings, the need for companies to be more conservative with expenses; we learned from our own losses — mind you/excuse us, most of us did not buy crypto in 2015 so we really need to buckle up, and running businesses in crypto is not a get rich fast equation anymore, actually, it takes a lot of courage to jump in on it right now. We learned that we cannot hide under the premise “what bear? just #buidl” because open source is in critical need of funding. We figured out we need to stay open towards an interoperable future, because this is happening — Cosmos just launched last week, others will follow — and we need to collaborate and continue building bridges. ETHBerlin’s name stays, but our commitment is with FOSS and decentralization, Ethereum is our compass, our community, but it’s not a wall. The Department of Decentralization was conceived to be chain agnostic, and even though ETHBerlin will have an Ethereum focus, we want to invite other chains and protocols to run their tracks in our event and see how we can collaborate and learn from each other — in honest, mutually beneficial ways. Again, no pay to play: our speaker applications are open to everyone and no amount of money can get you a slot. The ETHBerlin talks will take place at dAppcon, the conference organized by our friends at Gnosis, from the 21st to the 23rd of August — on the 23rd, the hacking begins at Factory. Full immersion till Sunday am. Free your mind, and the rest will follow: we are ramping up the hackathon with diverse experiences to spark your creativity. We are working on cultural, relaxing, interesting and fun ideas to allow your mind to wander a bit and get the creative juices flowing. Like last year, all tiers donate to the open track bounty: this means the bounties will be substantially high for you to build whatever’s in your mind and get compensated accordingly for that. We are not only hackathon organizers, but share the responsibility of looking after Göerli Testnet’s sustainable growth and compensating contributors is our focus — this should and will be reflected in the hackathon. A step further: our most economic tier (1.000€) is not a sponsorship per se — this money goes straight to the open track bounty. Last year we received messages from a lot of people saying they wanted to contribute to the bounty only — so we made it happen. And on top of that, you get your logo in our graphics. We understand the signaling that comes tied to being the title sponsor, but the market is not in any condition for us to be charging huge sums for this. So now we will have 5 slots for the top-tier, with the best benefits and a more cost-effective rate. Further proof that flattening hierarchies can make a sustainable impact. Less waste, more time, fewer costs: from last year, we learned that not all teams are massive and have lots of people to look after booths and sponsorships. So this year, we decided to have a sponsors’ fair instead: at the opening and judging period of the hackathon, sponsor tables will be open for people to get their swag, learn new things and network — while during the hacking period, we will all be able to chill, mentor, talk to each other, and not run around taking booth shifts. We are all hackers! We will not focus on the scale of the event — breaking attendance records is not the goal when you want to help mitigate budget exhaustion. Moreover, we want to provide the best judging, hacking and mentoring experiences and we believe that being modest in hacker count will help us achieve this once again. Of course, we’ll dogfood — that’s already a given. 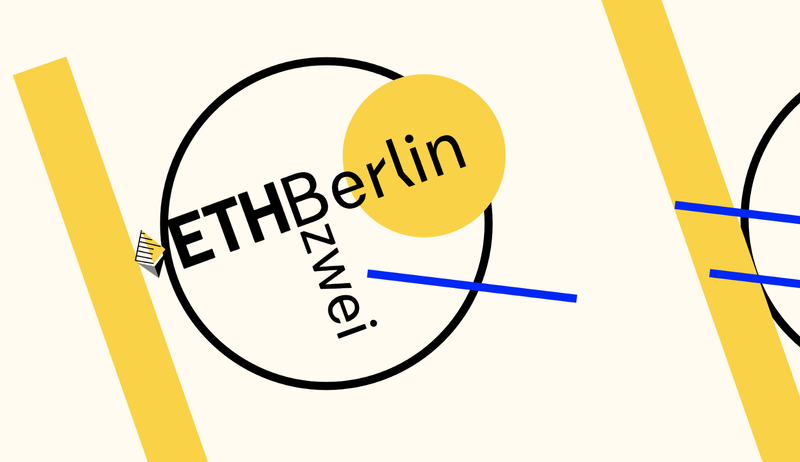 It goes without saying that merging dAppcon and ETHBerlinZwei is part of our commitment — we want fewer trips and more product. The only way to achieve this is to coordinate with other events and let go of the spotlight for a bit, to spare your pockets and your energies. Blockchain Week Berlin will be held during the 20th to 29th August, meaning you just need to come to Berlin and we’ll make sure you have all you need! There’s more where this came from — we are building and evolving. So watch this space, and if you have any ideas that might help this experience, join the Department of Decentralization! If we were to chose one lesson from last year, it would be “raising awareness by doing”. The winter’s cold, but spring will come sooner or later. In the meantime, we need to adapt, and be more responsible — party time will always come (this is Berlin, after all!) but first let’s get some work done. OUR WEBSITE IS LIVE! CHECK OUT OUR AMAZING NEW CONCEPT! APPLICATIONS TO SPEAK AND JUDGE ARE UP — ALL OTHERS LAUNCH IN THE FIRST WEEK OF APRIL.